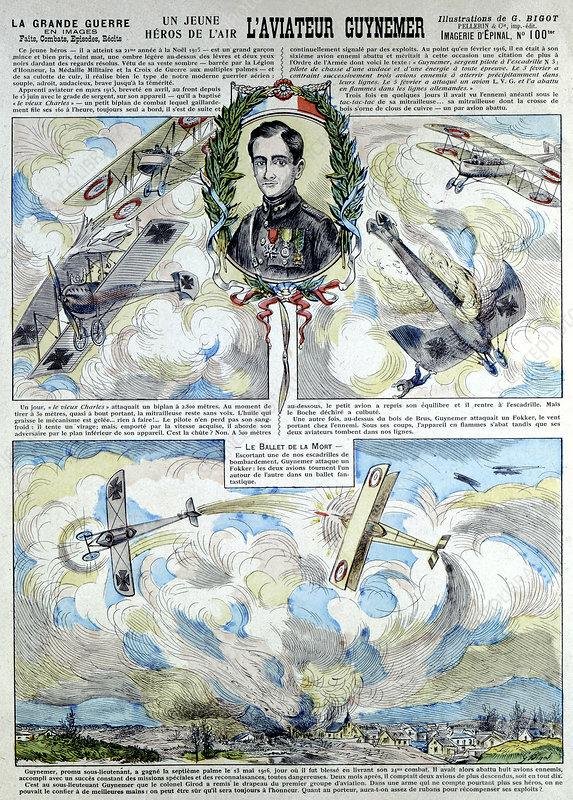 Georges-Marie Guynemer (1895-1917) French air fighter ace shot down 8 times. Died in combat 1917. Credited with 53 air victories. Broadsheet showing dog fights with German biplane and Fokkers.